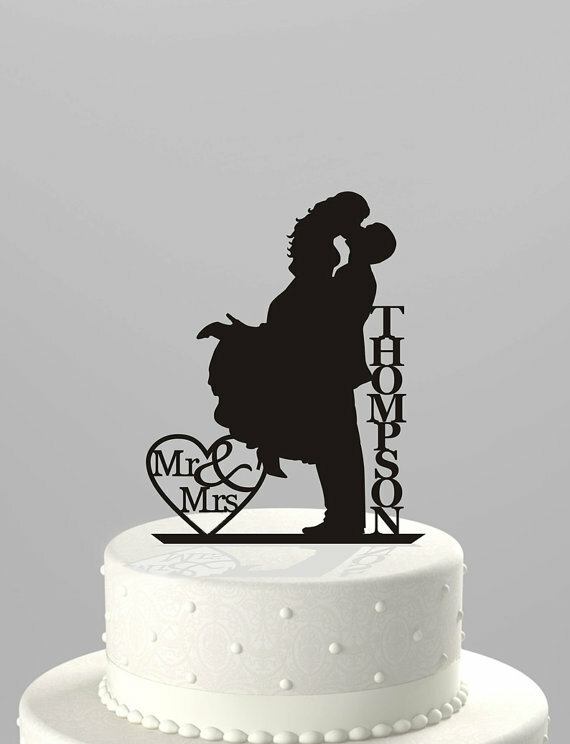 Pretty Silhouette Wedding Cake Toppers can be found at True Love Affair‘s online shop. 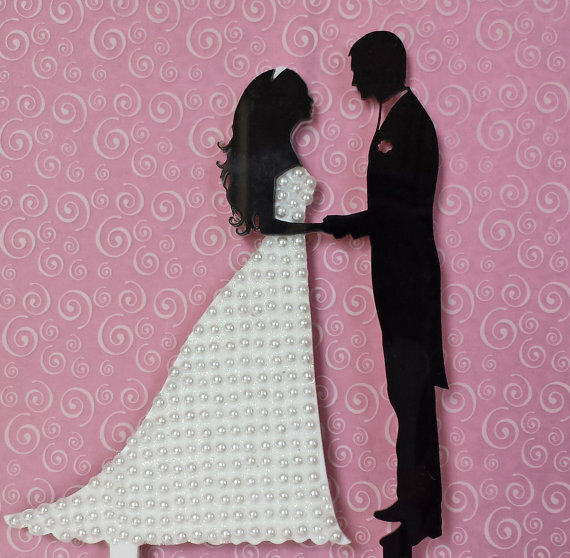 I love the pearls on the brides dress. 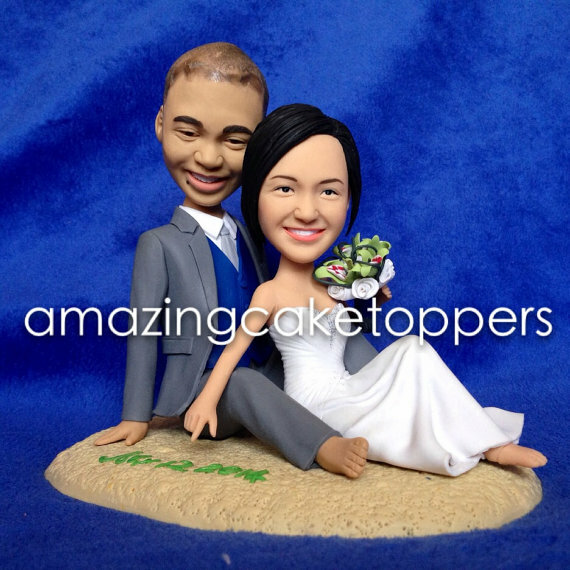 You can also have these personalized. 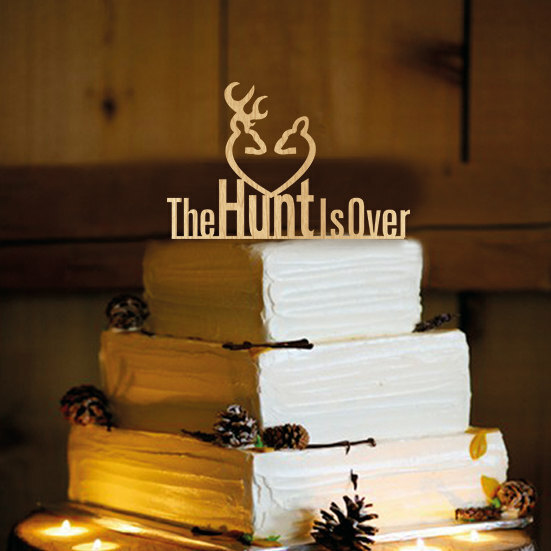 Cake Topper House‘s Rustic Wedding Cake Toppers are handmade, of wood, but are still quite elegant. 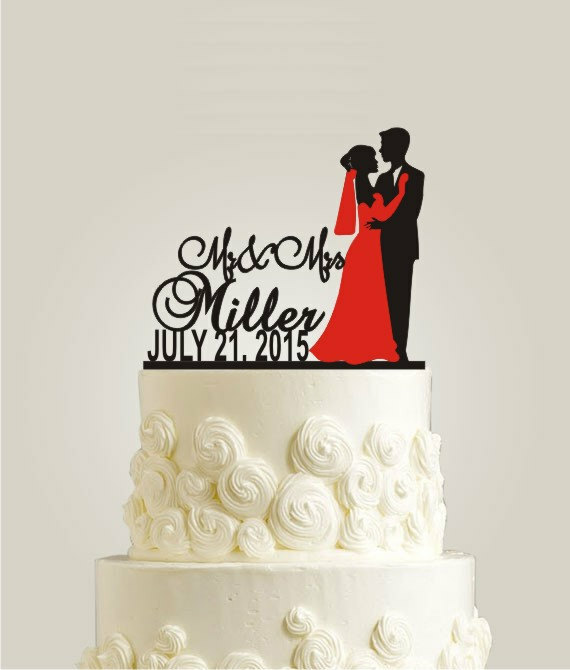 These are personalized monogram cake toppers and they come in a variety of styles. 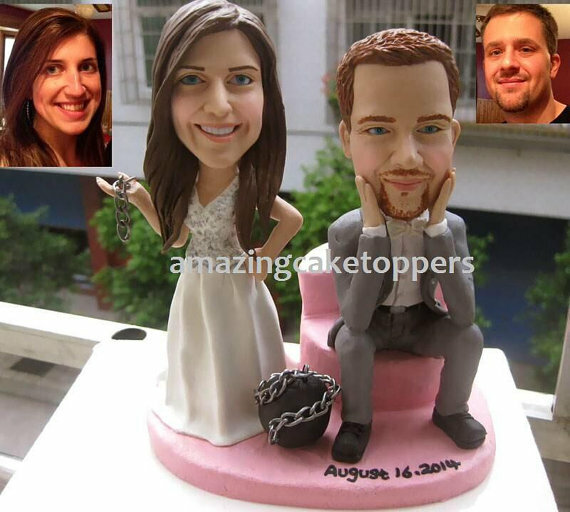 Check out these gorgeous Rhinestone Cake Toppers from Tange Design! 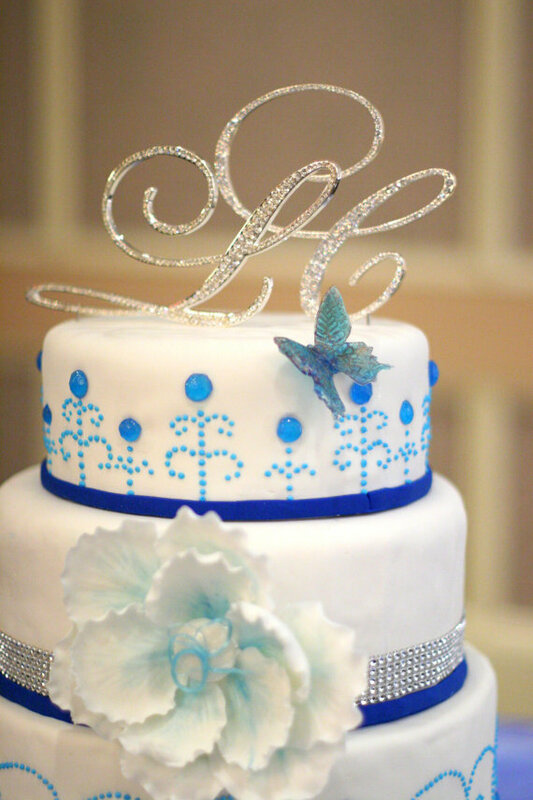 I love these 🙂 I like glittery, sparkly things in general. 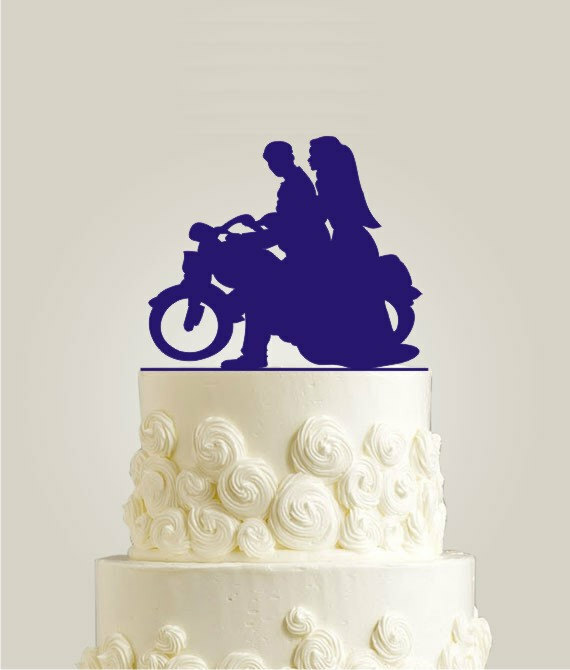 Lazer Design Shop has fun silhouette cake toppers that even come in different colors. 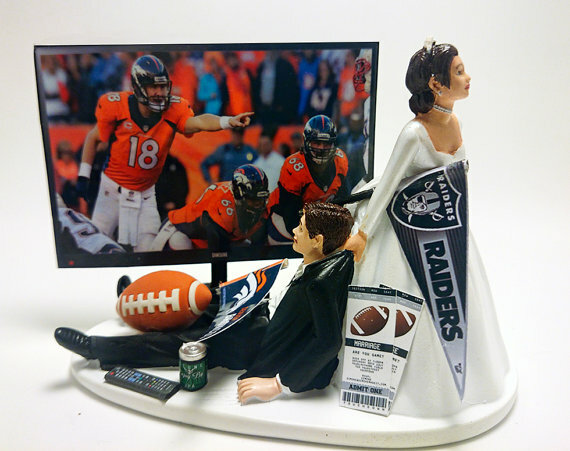 Funny wedding cake toppers from Piece of Cake Wedding Toppers feature the bride dragging the groom away from his favorite video game, ball game, or from hunting. 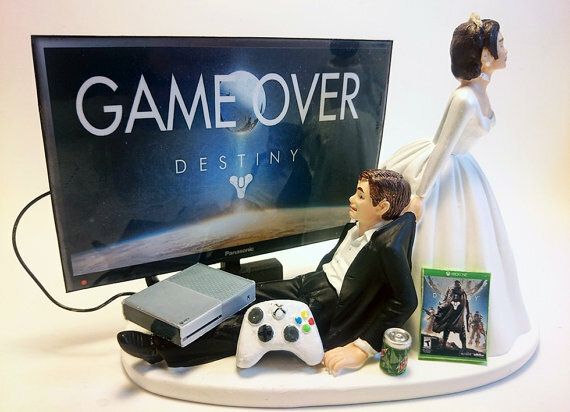 These are perfect for video gamers. 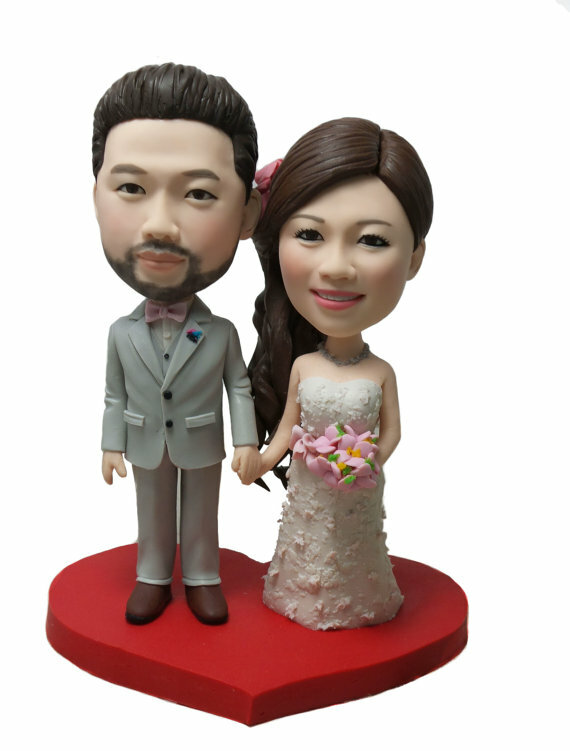 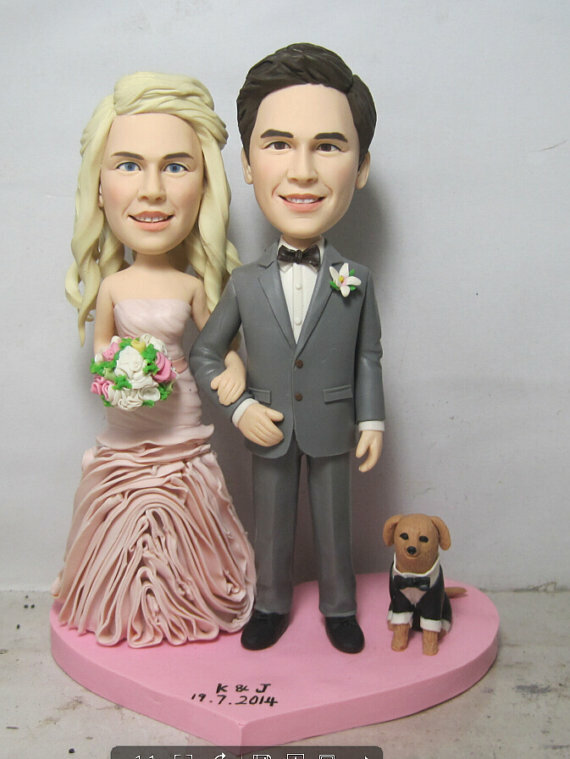 Amazing Cake Toppers makes customized polymer clay cake toppers of the bride & groom. 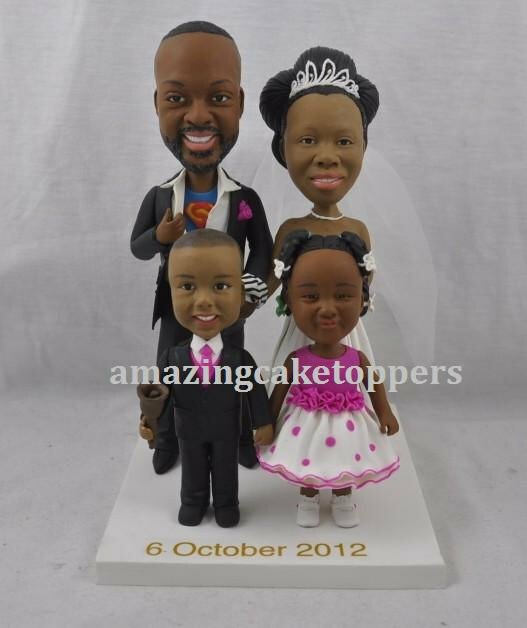 They do an amazing job from photos and can even include your children.